JESUS ANSWERED AND SAID; IF THOU WILT ENTER INTO LIFE, KEEP THE COMMANDMENTS. 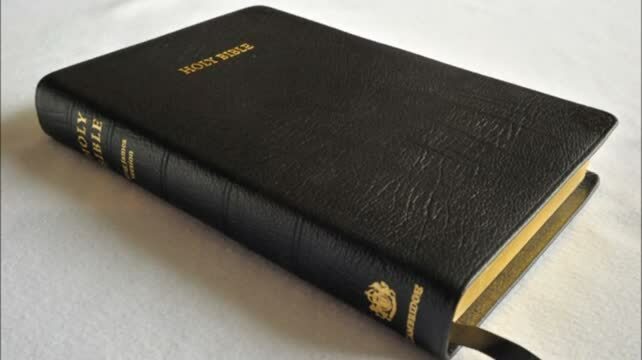 In today's Christian world, it is quite common to hear someone at a bible study say, “what version do you have?” Or you are at a church and the pastor says, “open your bible to Isaiah 14:12, and lets read out loud together. What confusion, because all the bibles are different! The NIV says that the Morning Star was cast out of heaven, WHAT! My Bible says that Jesus Christ is the Morning Star in Revelation 22:16 and the Old Testament book of Isaiah is Hebrew…not Greek! The New Testament Greek word for Star is kokab. Jesus did NOT fall from Heaven like the NIV Latin Vulgate Roman Catholic Bible would hope you believe! In Isaiah 14:12, The King James Holy Bible reads, "How art thou fallen from heaven, O LUCIFER, son of the morning!. . ." The NIV, NASV, NRSV etc. reads, "How you have fallen from heaven, O MORNING STAR, son of the dawn. . ." The new per-versions change "Lucifer" to "morning star". Again, according to Revelation 22:16, the "morning star" is the Lord Jesus Christ! What blasphemy! What perversion! And there's no scriptural basis whatsoever for the change! That is why you will never find a HOLY BIBLE in a Catholic Church! They Hate His Word because the WORD of GOD declares that the Roman Catholic Church is the seat of Satan and the Pope is the Ant-Christ. That is why the Pope tried to blow up King James in Parliament on November the 5th, 1605. Satan fought to stop him from giving the Word of God to the people. Try this, I did. Pick one, any one, Catholic Church. 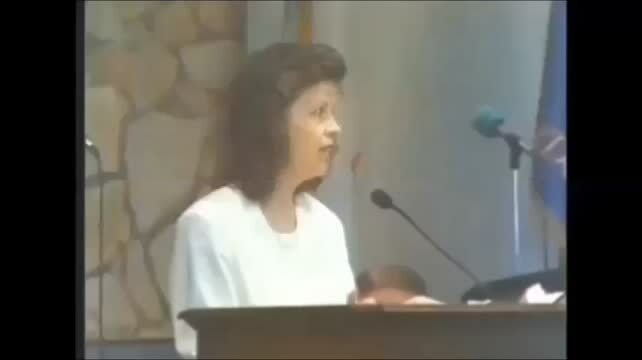 Walk in, look in the back of the pews where protestant churches have a Bible and a song book and there you will find only song books, no Bibles! Remember “Sola Scriptura.” America was founded on fleeing the persecuting Catholic Church. Sola scriptura (Latin ablative, "by Scripture alone") is the Protestant Christian doctrine that the Bible is the supreme authority in all matters of doctrine and practice. Sola scriptura does not deny that other authorities govern Christian life and devotion, but sees them all as subordinate to and corrected by the written word of God. A "Bonfire Night" is highly significant for Christians worldwide. If the 1605 Catholic Jesuit plot had not been foiled; there would be no King James or the Holy King James Bible, a Catholic monarch would have ruled Great Britain, the Pilgrim Fathers who kept the 7th Day Sabbath instead of Catholic Sunday worship, would have been butchered or burned at the stake as heretics. The wide-reaching Roman Catholic terrorist plan was to; blow up Parliament, assassinate King James the First, stop the making of the King James Bible, and restore a Catholic Monarch. The ongoing translation of the King James Holy Bible (KJB) was almost aborted by a satanic Catholic coup attempt, divinely uncovered at the last moment on November 5th. 1605. Through a tip-off from the King's extensive spy-network, inherited from Queen Elizabeth, the plan was exposed. Guy Fawkes, the main perpetrator, was caught with 36 kegs of gunpowder, and a smoldering wick right underneath the meeting hall. He was waiting to blow up the Houses of Parliament whilst King James attended, thereby crucifying Jesus (and the Word became flesh) again, and scare the world again into worshipping the pope as Christ instead of Jesus. There were over a dozen Catholic conspirators in the London based terrorist cell, the chief being; Robert Catesby, Thomas Wintour (aka. Winter), John Wright, Guy Fawkes (aka. Guido Fawkes, and Guy Faukes), and Thomas Percy of the Northumberland Percy's. Each one was an English-born Catholic rebelling against the Church of England, and her Monarch, refusing to submit to the law, and determined to forcefully overthrow Protestantism in Great Britain and her colonies. Guy Fawkes was a tall, 35 year-old, hot-headed recusant papist from Yorkshire. He'd spent time as a mercenary fighting, with Spanish Catholics against Dutch Protestants, in the continental "Eighty Years War". There, he adopted the Spanish-Italian form of his name Guido. Fawkes was so zealous, he secretly approached Catholic King Philip of Spain, as a delegate of the Jesuits, for assistance in toppling the British monarchy. King Philip wisely declined, having learned his lesson at the hands of Queen Elizabeth the First. She, by God's grace, soundly defeated every Spanish attempt at invasion and subversion. Sir Francis Drake's resounding naval victory, over the Spanish Armada in 1588, is second only in splendour to Lord Nelson's stunning defeat of Napoleon's invasion Fleet, at the Battle of Trafalgar on 21st. October 1805. 1583 Foxe's Martyrs: Written, illustrated, and published by eyewitnesses of the event. Read first-hand accounts of the black-doings of popery, and the enormous price paid by our Christian brothers and sisters, who defied Satan’s Catholic Church and stood for Christ. Today the same battle still rages with the new Pope and his former right hand man, Tony Palmer declaring in January 2014 that if you are born again, then you are Catholic, and that it is official: The Protestant Reformation is ended. So all must return to the Catholic Church and obey the Pope instead of the Word of God. IN THE NEWS; Pope Francis declares that a personal relationship with Jesus Christ is dangerous! Pope Warns Personal Relationship with Jesus is Dangerous and harmful! "VATICAN CITY (Worthy News)– Pope Francis created a controversy amongst Evangelicals this week, when he stated in his weekly address, that those who believe they can maintain a "personal" and "direct" relationship with Jesus Christ outside the "mediation of the Church" was "dangerous and harmful." That is also why The Jesuit Catholics invented the fake secret rapture and marketed it with books and movies. It declares that in the book of Revelation Chapter 4 where John is taken in the spirit and told to write the vision, that in that moment is the secret rapture and all real Christians will be removed from the earth. Therefore, they promote strongly, that there is, “NO NEED TO READ THE REST OF THE BOOK OF REVELATION!” This is because when one reads all of Revelation it reveals in exact detail, The Beast, whore of Babylon, anti-Christ as the Roman Catholic Church. Remember, Rome killed Jesus! It is always about Wealth and Power over the people. It Is Written: “And when the chief priests and scribes saw the wonderful things that he did, and the children crying in the temple, and saying, Hosanna to the son of David; they were sore displeased. There is nothing new under the sun. Study the book of Daniel and Revelation! Who is spreading this false Rapture theory today? In the 1990s, Tim LaHaye and Jerry Jenkins took the future one-man antichrist idea of Hal Lindsey, Cyrus Scofield, John Darby, Irving, Newman, Todd, Maitland, Bellarmine, and Ribera and turned it into “The most successful Christian-fiction series ever” (Publishers Weekly). Hal Lindsey’s book, “The Late Great Planet Earth,” was largely theological, which limited its appeal, while “Left Behind” is a sequence of highly imaginative fictional novels. The television ministries of Jack Van Impe, Peter and Paul Lalonde and Pastor John Hagee have all worked together to produce “LEFT BEHIND: The Movie.” This project even caught the attention of the New York Times and the Wall Street Journal, resulting in an interview with LaHaye and Jerry Jenkins on Larry King Live. Left Behind is now teaching much of the same Jesuit Futurism as Francisco Ribera, which is hiding the real truth about the antichrist. Through Left Behind, Futurism has taken a very strong hold, unleashing a massive tidal wave of false prophecy which is sweeping over the world. Everyone believes movies and books, right? With all the false teaching already circulating on a secret rapture and seven year tribulation period, even though these books are fictional, many have taken them as being greatly truth. Satan continues to clap his hands in glee over just another one of his great deceptions on the Christian world. And as usual, many Christians and even Pastors will not entertain the idea of this being possible as they will not consider the majority could be wrong and so the lie continues to spread like a disease. If Christians don’t start waking up to the devils many deceptions, a lot of good people are going to perish. Satan’s deceptions are strong and convincing, but Christ has given us ample information to help us discern truth from error if we will only diligently study His Word. Where did the Secret Rapture and seven year tribulation theory originate? In early 1830, a 15 year old Scottish Girl called Margaret McDonald claimed to have visions that included a secret rapture of believers before the appearance of a one man antichrist who she also named. Edward Irving (1792-1834) who was her Scottish Presbyterian pastor and forerunner of the Charismatic and Pentecostal movements, attended prophecy conferences that began in Dublin Ireland also in 1830 at Powerscourt Castle where he promoted this rapture doctrine as per her vision. John Nelson Darby (1800-1882) who was a minister of the Church of Ireland later became a member of the Plymouth Brethren and also promoted the secret rapture after attending the same Powerscourt Bible Prophecy meeting in 1830 where he learned of Margaret McDonald’s supposed vision. Darby modified her views and then taught them under his own name. He developed and organized “futurism” into a system of prophetic teaching called “dispensationalism” with this rapture doctrine at its centre. He visited Margaret McDonald at her home in Port Glasgow, Scotland and then later visited America several times where this false rapture theology starting gaining a large acceptance in the 1850s and 1860s. John Nelson Darby who was largely responsible for introducing this new teaching on a large scale also greatly influenced Cyrus Ingerson Scofield (1843-1921) who also incorporated this false doctrine into the notes of his Scofield Reference Bible, first published by Oxford University Press in 1909. One million copies were printed by 1930, firmly establishing this Futurist theory into different denominations and Bible schools of the United States in the 20th Century. 5. It will be a religio-political entity - a political city-state ruled by a priest-king. No wonder the Roman Catholic Church was and “still are”, so opposed to the King James Holy Bible being available for everyone to read for themselves ! To control what they called heretical doctrine, the Catholic Church called for a special meeting known as the Fifth Lateran Council, (1512-1517) which forbade anyone to publish a book without prior censorship and also prohibited anyone from preaching on the subject of antichrist. The leaders of the Council and the Catholic Church also attempted to ban or burn all Bibles, heretical books, and the heretics that owned or preached from them. The major characteristic identifying the antichrist power was this 1260 years of persecution of the “saints” which was fulfilled in the Catholic Church’s persecution of Christians throughout the dark ages beginning in 538 A.D. after the fall of the pagan Roman empire, and extending to 1798 (1260 years exactly), when the Pope was taken prisoner by Napoleons general Berthier and died. This was the deadly head wound. (Revelation 13:3) In order to divert attention away from the Roman Catholic Church as the antichrist power, a new interpretation would have to be found. This was done by rejecting the true “Historical” interpretation and accepting a false “Futurist” interpretation proposed by a Jesuit doctor of theology, Francisco Ribera (1537-1591). 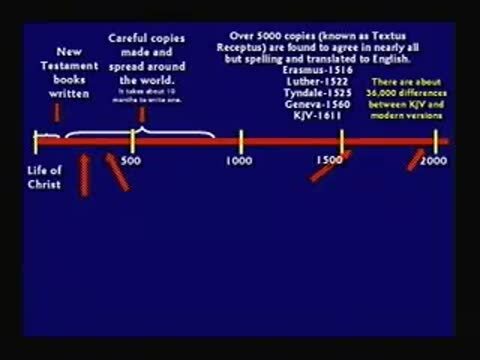 Did you know that all the other bible per-versions are supposed to be a rendered version of the original? The original being the KING JAMES HOLY BIBLE. If people knew that bible printing has become very big money business and that if your group can come up with your own bible per-Version, then you may obtain a COPYRIGHT. Any church, ministry, group or individual that would like to use YOUR bible must PAY you Money under copyright law. That causes attacks on the original and then say that your new version is BETTER so BUY mine! Marketing 101. Here’s the Law that says so. represent, as a whole, an original work of authorship is a derivative work or a new version. This TRUTH alone, should alarm all God fearing Christians away from the satanic anti-christ Per-Versions. Ephesians 5:11…And have no fellowship with the unfruitful works of darkness, but rather reprove them. It is written; Now the serpent was more subtil than any beast of the field which the LORD God had made. And he said unto the woman, Yea, hath God said, Ye shall not eat of every tree of the garden? Since there is only One True God, and only one true Jesus the Christ, the Word, there cannot be another true God on the same level, (just another “version” of God). The “Word of God”, (singular), not gods, is HOLY, PURE, TRIED BY FIRE 7 TIMES, PRESERVED BY GOD TO ALL GENERATIONS, MADE FLESH AND DWELT AMONG US. Therefore it is impossible that there could ever be another, “TRUE GOD” and His WORD!